“What we've tried to do is improve the quality of the build process for FPV and we believe what we offer to the customer is already great value for money with what is essentially a hand-built vehicle,” Ford Australia president Bob Graziano said at a ceremony to commemorate the first GT built at Broadmeadows for 37 years. “We've got a freshening coming next year and we won't do anything separate for FPV before then,” he said. I'll let you guy's know how good the quality is when mine lobs late March. Don't forget that Ford just spent a large some of money to buy out Prodives interest in FPV. It's their right to profit from it. 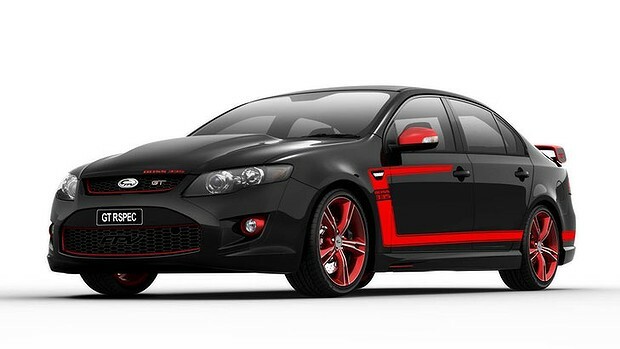 Every one is quick to have a sook when Ford looks to be killing off the locally built falcon, but at the same time people are sooking when Ford try to make it more profitable. Probably not, There are plenty of cars getting around with colour problems even though the parts where all painted in the same place with same batch of paint. There is more to it then the ability to match the colour. That fact the base materials are different will effect the final colour. I work next to a panel shop, I've seen a bonnet and bumper sprayed at the same time by the same person with the same batch of paint and the after drying, the colours don't match. Well that's a slap in the face for prodrive saying ford quality will be much better. It's probably more to do with the fact that any body processes can now fixed on-line rather than a vehicle that has gone to another shop to be modified.